Don’t let machine downtime slow your operations. Whether it’s a broken tool or a paused cycle, Davenport Machine is here to help with any issues your machine may experience. 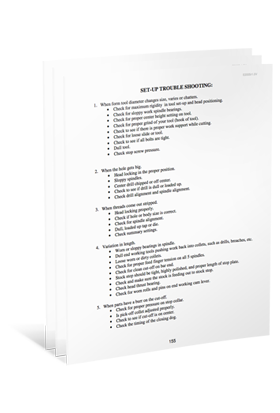 We’ve put together several free Troubleshooting Guides for you to keep on-hand. Use the form at the right to download these guides today.